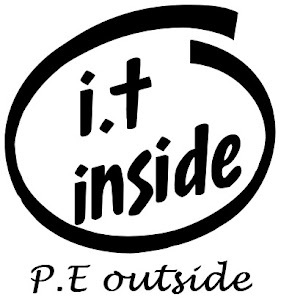 I.T Inside P.E Outside: The Olympic Challenge! The Olympics are well under way in London and I love the Olympic ideal that much that I wanted to find a way to include it into my classes, actually to be quite honest I wanted to inflict the Olympics on everyone within our 1,000+ strong school. So I devised "The Olympic Challenge" an academic Olympics that all students could get involved in regardless of their interests and strengths. 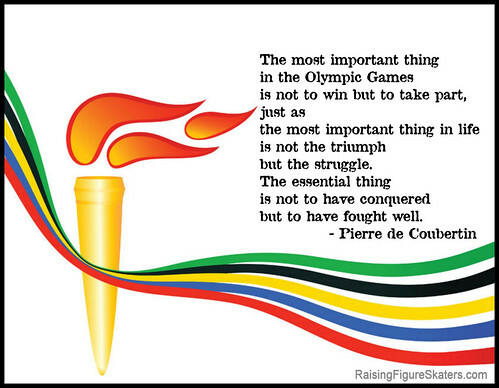 The odds of holding a theme like event in a large high school across all curriculum areas is slim to none so I knew I was potentially setting myself up for failure but I figured the Olympic Creed was all I needed to help me persevere. So here's a low down on what I've done. Firstly I pitched the idea to my fellow Health & Phys Eders to see if this is something they would consider doing in class, when they agreed I kicked started this mammoth task! I had determined that every homeroom in the school (there are 40) should have a country to represent during the challenge, I also decided from the start that certain countries should be excluded from the random draw so I removed the top 6 countries (including our home country of Australia) I also removed the bottom 40 countries to provide some fair balance. Names of countries were drawn from a hat and assigned to the homerooms at random. This was then emailed to homeroom teachers to give their students a heads up on which country they would be representing. The next step was to create a way that all learning areas could be involved in the Challenge and to keep it simple so that staff could participate without feeling like they've been given yet another thing to do in their classes. The last step was to announce this to all staff at a morning briefing inviting everyone to participate with the HPE dept in the Olympic Challenge and providing a short flyer via email for all to read. The beauty of this activity is that I'm only asking staff to put a medal value on what they already have students doing. The other neat thing is I have set up a basic Excel spreadsheet that does the maths for me all I need to do is add the medals in as they are earned. The response has been great so far with staff emailing in the activity that they ran and their medal results. It's also had people talking about countries they didn't know much about (many complaining their country has yet to win a medal ever!). The students have loved the idea with some taking an interest in their country, and others just liking the chance for some friendly competition. Whilst I admit this isn't the "techiest" of posts, I thought it's been so much fun that I had to share it with my fellow #pegeeks and keen educators! I hope everyone is enjoying the Olympics as much as I am!